Globalcycle, Inc. (“Globalcycle”) is the only fully permitted industrial/ commercial wastewater treatment and recycling plant in Massachusetts. Globalcycle operates pursuant to a Massachusetts Department of Environmental Protection Individual Reclaimed Water Discharge Permit. This permit allows Globalcycle to accept various non-hazardous industrial wastewaters from off-site sources. Globalcycle uses solids filtration systems and activated carbon to recycle wastewaters into a reusable water source for industrial applications. Each wastewater source will undergo sampling at the originating site and at a minimum, be analyzed by a third-party independent laboratory for “total hydrocarbons," pH, TDS and TSS. Total hydrocarbons are defined as the total volatile organics (“VOC”) - by method 8260 and semi-volatile organics (“SVOC”) - by method 8270. Large-particle removal is achieved by off-loading the wastewaters through a series-type water filtration system to remove “gross” solids (filter boxes, hoppers, basket strainers….etc) and then into a coned bottom receiving tank. Small-particle removal is achieved by pumping wastewater from the receiving tanks through a series of bag-type water filters. The bags within these water filters can be easily changed to accommodate the appropriate filtering size (i.e. 10-25 micron). Should testing reveal the wastewater contains levels of volatile or semi-volatile organics that exceed the outbound water quality criteria, the filtered wastewater is then transferred through two (2) x 5,000 pound granular activated carbon (“GAC”) tanks, in series. To prevent fouling of the GAC filters, bag-type water filters will always be used prior to GAC treatment. If necessary a dilute acid (e.g. muriatic acid) or alkaline solution (e.g. soda ash) may be added to the finish tank, in the event that the pH of the filtered wastewater is not within the proper range as specified by the destination facility. 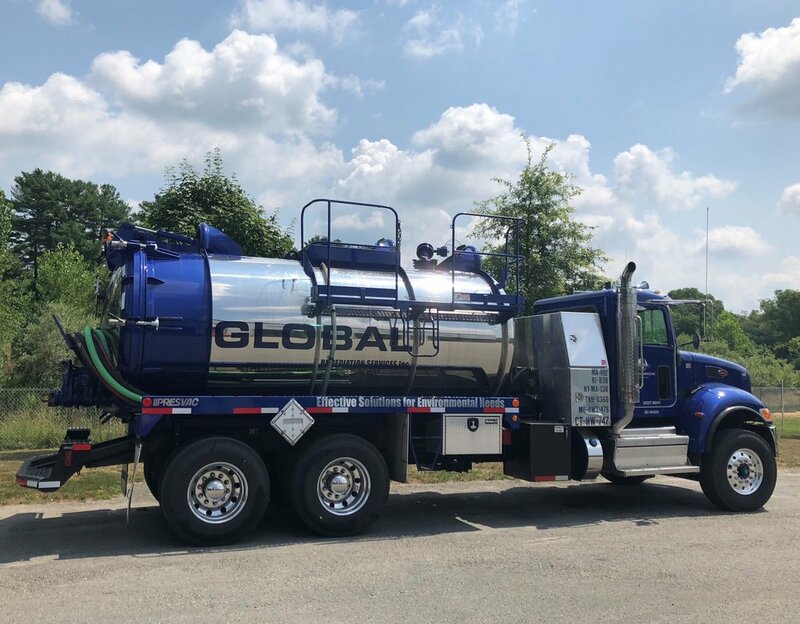 Globalcycle transports the recycled wastewater to the Covanta/SEMASS waste-to-energy facility located in Rochester, MA. This reclaimed water is utilized in Covanta/SEMASS’s air emission control scrubber, as make-up water. The scrubber solution is sprayed into the emission stack to provide cooling of the gases, which also results in vaporizing the water solution. The water vapor re-enters the atmosphere, thus starting the “rain cycle” all over again. As a leading provider of zero waste to landfill and assured destruction services, Covanta’s Sustainable Solutions team has the expertise and know-how to find Sustainable Solutions for materials your company no longer requires. For more information, please visit our website and click on the “Sustainable Solutions” link.